Gokarna which is situated along the western coast of India in the state of Karnataka, Gokarna is the coolest place for a peaceful holiday. It’s a small town but it allows you to have great experience of exciting things made accessible here. Gokarna Beach trekking: Isn’t Seem adventurous? Really here in Gokarna you will find an amazing trek experience, as Gokarna lies between the hills and beaches, actually to reach from one beach to another you need to climb the rocky hills which are going to offer you great fun. The five major beaches of Gokarna are Gokarna beach, Om beach, Kudle beach, Paradise beach and Half moon beach. Here trekking is pretty simple for all, If trekking doesn’t go well with you then you can also prefer boat ride. You can take up the boat ride for all beaches with other people or by yourself individually. 2. Temples to Visit: Gokarna is also called as the town of temples, The very famous temple here is Mahabaleshwar temple which is located in main Gokarna town. There are few more prehistoric temples in Gokarna, Aadi Gokarneshwara temple, Koti teertha, Ganapati temple. On Visiting these ancient temples you will definitely reveal peace of mind and serenity. 3. 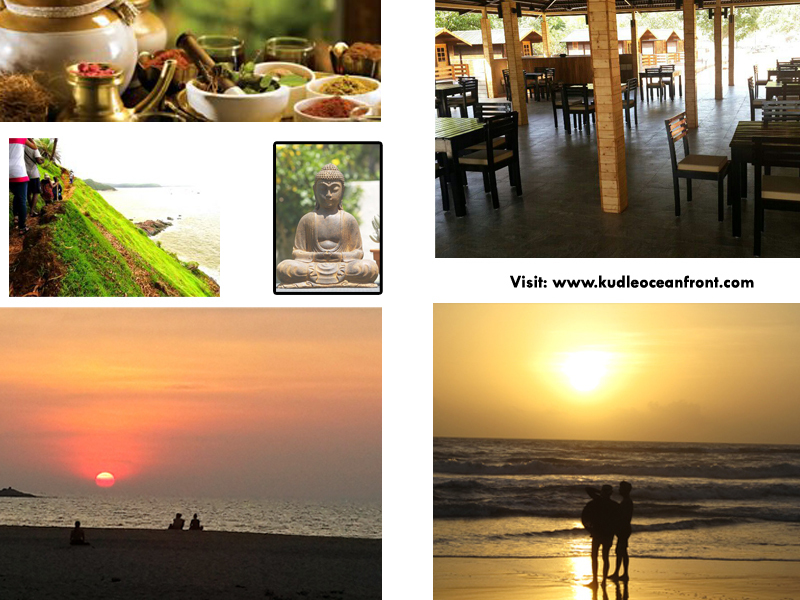 Get cozy through massage: Majority of Gokarna hotels, Gokarna resorts present to you massage services. Here you can have the well known Kerala Ayurvedic treatments if it’s a full body massage or only for specific parts based on your preference you can opt. Obtain the tranquil by massage and get harmony from the waves of beaches. 4. Turn into a food lover: Here you can have the luscious food from the excellent local restaurants this place serves you with the best food, you can have Italian pasta, Israeli bread and Indian thalis etc. The food offered here is most delicious and mouth watering with a variety of flavors. This place seems beautiful at the same time as you hear serene music played by waves in the background. 5. Incredible places to in Gokarna: Gokarna includes several places to watch but the most stunning is the statue of Shiva which is the second tallest statue in India. It looks gorgeous with a divine blue background of the Arabian sea. 6. Practice yoga on beach side: Here you can observe people practicing yoga in groups and individually on the side of Kudle beach and other beaches. Either you can join the group or take up a course of 7 days independently, Get a special experience of yoga with breezy and fresh air from beaches. 7. Star-studded night in Gokarna: The sky at night in Gokarna is extremely spectacular with bright stars in the clear dark sky, cool breeze of waves blows on the face and the smooth sand beneath your feet present you a delightful experience hat you never had before. 9. Go Photoholic: Gokarna is the accurate place which makes you photoholic you can’t stop yourself from capturing images of attention-grabbing views, The morning and the evening view will completely mesmerize you try to capture them on your phone or in camera. Take a leisure walk along the beach and capture the waves striking the rocks and add to your collection of Gokarna pics. 10. Get immersed in Gokarna town: you can cover up the entire town just by walking along the streets and there you will come across few shops of clothes, bags, ornament etc. just by simply walking you can get the glance of the whole town. Go through the above details of Gokarna and get a glance of its features and make your trip remarkable. ← Best Resort to Reside near to Beach.